We are investigating an alternative method of making 200 small flat curved parts that are symmetrical relative to the midplane. Both sides are identical so the two mold cavities are identical. We are looking for an easy to cast material that has strength/toughness properties as HDPE or even as UHMW PE. The parts should never break but are allowed to bend (somewhat or even a lot) under exceptionally heavy loads. It can be a net casting or machined after casting but tolerances are not important as the parts are not attached to anything. Tensile strength and impact resistance against high shock loads are most important. It must be tough = not brittle, i.e. it will never break under shock loads. Hardness should be fairly good against scratches and small dings, maybe as good as or a little better than hardwood, but is not that important. HDPE is more than strong and tough enough but the surface hardness is not that great. The material should keep most of its strength and toughness both in high (Arizona +120F) and low (Alaska -20F) temperatures. Availability in a variety of dark colors (black, red, brown) would be nice. Solutions: You can use Polyurethane casting materials. They have wide different properties based on your needed. You have mentioned that it must as like as HDPE. Well, you can use a grade that its hardness is near to HDPE, if your index is Hardness. In comparison between Polyurethane casting materials and HDPE, Polyurethane casting materials have higher tensile Strength than HDPE and lower abrasion. One of your choices can be Casting Polyurethane. Based on the situation, you must use Polyether - TDI base casting material if the environment is wet or these parts will work in water. This type of Polyurethane has moderate to high tensile properties and excellent resistant against water. But if you need a high property such as tensile strength or abrasion resistant, it's better to use Polyester- MDI or Polyester - TDI. You can use every colorant for this purpose. Cold weather can decrease the strength of impact for plastics materials. In this case, Polyolefins such as HDPE and PP are affected more than others. It relates to their structures and defects. All of polymers can have Crystal and amorph in their structure. When we chill them and their temperature will be under a critical temperature in the name of (Tg: Glassy Temperature) in them. When we put them in a low temperature place, some parts of amorph phase goes to crystal cells to get better compatibility in other parts of structure. This changing can reduce the impact strength. But totally for your usage, it's better to shift another group of materials such as PU. You may use of Polyurethane Sheet or Rod, based on the shape. Polyurethane sheets or rod are accessed to form by machine as like as HDPE or Fluoroplastic such as Teflon. Different in Polyurethane is depending on Hardness. If you need a few parts, it will be better to use of machined PU. Totally there is no remarkable difference between these type of PU or Casting materials about their properties such as impact. My company casts a TODI based polyurethane compound that we make in-house. We can alter the compound to provide for harder/softer material, add colors, etc. It has excellent temperature/water/abrasion resistance, and specific properties can be adjusted by modifying the compound slightly. 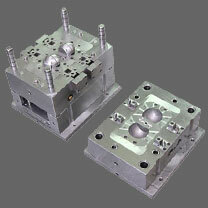 We have been casting these products for over 25 years, and we can have molds done quickly and inexpensively. Our primary use for the castings now are for custom molded seals and custom carriers for polyurethane timing belts.